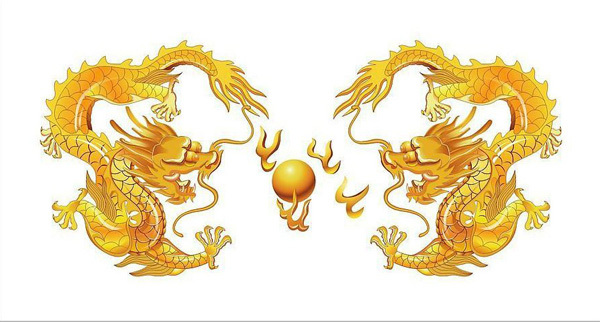 Shuang Long Xi Zhu 双龙戏珠 means two dragons playing one pearl ball. It is a traditional imperial Chinese picture to describe the regality and majesty of the royal family. 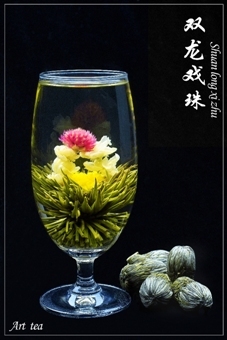 The blooming tea Shuang Long Xi Zhu uses two jasmine flower strings joining together with a Globe amaranth flower on the head, to express the meaning of two dragons playing one pearl ball.